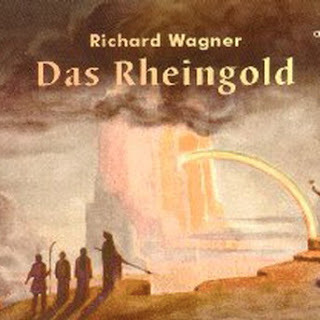 David tells us the part of the series that concentrates on Rheingold will run for 5 weeks and should you wish to sign-up just for this then you can do so. Although to be honest, the entire lecture series looks more than worth attending. Full details from David below. Opera in Depth with David Nice. This January, the great Vladimir Jurowski embarks on concert stagings of Wagner's Ring operas by beginning where the composer does, in the depths of the Rhine. He plans to perform one opera a year, and we'll follow his journey with Die Walküre in 2019, Siegfried in 2020 and Götterdämmerung in 2021, with plentiful classes on each epic. 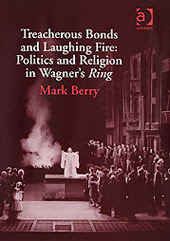 Expect special visits from Wagnerian singers, conductors and directors. My long-term survey of all the major Janáček operas over the years comes to a conclusion with his last, and weirdest, masterpiece, based on Dostoyevsky's Siberian prison-camp memoirs. I'm delighted to report that Mark Wigglesworth has taken over conducting the first ever production at the Royal Opera from Teodor Currentzis, and he will return to the class to report about his work. As we move through the operas scene by scene, there will be plentiful music examples on CD and DVD, engaging the Frontline Club's excellent facilities to the full. You are also entitled to use the club room for refreshments, or simply meeting and chatting, before and after each class.